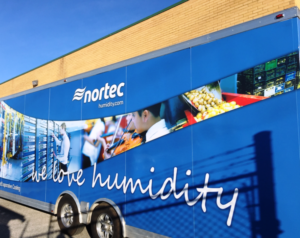 Thank you to Nortec Humidity for having the Roadshow stop by and give the Xtra Mechanical team a tour. The Roadshow trailer included Nortec’s newly launched products on display for both our office and field staff to view. Our technicians enjoyed the presentation, especially the duct section in the trailer that simulates steam and airflow patterns.